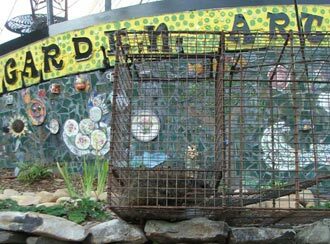 It took less than 24 hours to trap the nuisance woodchuck, commonly called a groundhog, at Sharptop Arts Visionary Garden by City of Jasper’s Animal Control Officer Lonnie Waters. The animals can destroy a garden in a short amount of time by burrowing a network of tunnels for security from predators. This particular groundhog dug under the fence several entrances to the garden. 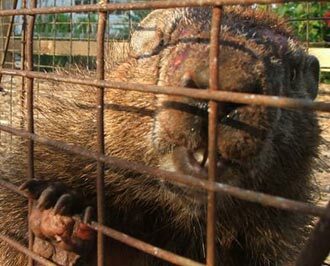 The Georgia Department of Natural Resources Wildlife Division website states that there is no closed hunting season on woodchucks, meaning that they may be trapped or shot at any time. There was no harm to the groundhog and it was relocated to City of Jasper property on Cove Creek. For animal control problems within the City of Jasper call City Hall at 706-692-9100 or if outside the city call Pickens County Animal Control at 706-253-8988.